My academic (i.e., peer-reviewed) writing is largely available on Academia.edu. 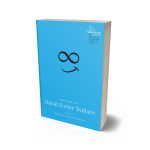 “The World of David Foster Wallace” is a critical essay about “The Suffering Channel” published in boundary 2. “Another Novel is Possible: Muckraking in Chris Bachelder’s ‘U.S. !’ and Robert Newman’s ‘The Fountain at the Center of the World‘” is an essay that was published in Blast, Corrupt, Dismantle, Erase: Contemporary North American Dystopian Literature, ed. Brett Josef Grubisic, Gisèle M. Baxter, and Tara Lee (Wilfrid Laurier University Press, 2014). I’ve written various reviews, opinion pieces, and essays, almost all of which are available online. William Gibson’s Breakfast Burrito,” Los Angeles Review of Books, December 12, 2014. “Only Science Fiction Can Save Us!” Slate, September 17, 2014. 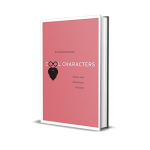 “The Eccentric Polish Count Who Influenced Classic SF’s Greatest Writers,” io9, September 5, 2014. “The One Incorruptible Still Point.” Review of Thomas Pynchon, Bleeding Edge (New York: Penguin, 2013). The Iowa Review 43.3 (Winter 2013/1014): 170-174. “Dave Eggers is Worried About America.” Review of Dave Eggers, The Circle (New York: Knopf, 2013). The American Prospect 30 Oct. 2013. “Kingsley Amis’s SF Addiction.” Review of Kingsley Amis, The Green Man (New York: NYRB Classics, 2013) and The Alteration (New York: NYRB Classics, 2013). Los Angeles Review of Books 27 Oct. 2013. “Outborough Destiny.” Review of Jonathan Lethem, Dissident Gardens (New York: Doubleday, 2013). Los Angeles Review of Books 8 Sept. 2013. “Too Big to Succeed: On William Gaddis’s J R.” Review of William Gaddis, J R (New York: Dalkey Archive Press, 2012). Los Angeles Review of Books 28 Oct. 2012. “‘We’d Hate to Lose You’: On the Biography of David Foster Wallace.” Review of D.T. Max, Every Love Story is a Ghost Story: A Life of David Foster Wallace (New York: Vintage, 2012). Los Angeles Review of Books 9 Sept. 2012. “Comics in the Expanded Field: Harkham’s Most Ambitious Anthology Yet.” Review of Kramers Ergot 8 (Brooklyn: PictureBox, 2012). Los Angeles Review of Books 13 July 2012. “Relatable Transitional Objects.” Review of Alison Bechdel, Are You My Mother? (New York: Vintage, 2012). The New Inquiry 3 July 2012. “Anti-Comprehension Pills.” Review of Ben Marcus, The Flame Alphabet (New York: Knopf, 2012). Los Angeles Review of Books 28 Mar. 2012. “Never Again, Again.” Review of Art Spiegelman, MetaMaus: A Look Inside a Modern Classic, Maus (New York: Pantheon, 2011). Los Angeles Review of Books 30 Jan. 2012. “Hurricane Helen.” Review of Helen DeWitt, Lightning Rods (New York: New Directions, 2011). Los Angeles Review of Books 21 Nov. 2011.
Review of Sarah Palin in Andrew Altschul, Deus Ex Machina: A Novel (New York: Counterpoint, 2011). The Believer Sept. 2011: 48-50. “Unfinished Form.” Review of David Foster Wallace, The Pale King: An Unfinished Novel (New York: Little, Brown, 2011). Los Angeles Review of Books, July 6, 2011. “Johnny Appledrone vs. the FAA” is a short story in Hieroglyph: Stories and Visions for a Better Future, ed. Ed Finn and Kathryn Cramer (HarperCollins, 2014). 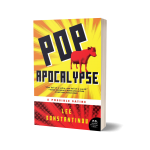 Pop Apocalypse: A Possible Satire (Ecco/HarperCollins, 2009) is my first novel. “The Schrödinger Treatment” is a short story that appeared in Regeneration: Telling Stories from Our Twenties, ed. Jennifer Karlin and Amelia Borofsky (Tarcher, 2003).